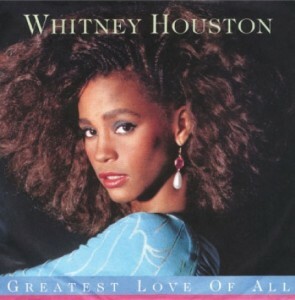 When I think of inspirational songs of the 80’s, I usually think of “Wind Beneath My Wings” and “Eye of the Tiger.” But Whitney Houston’s “Greatest Love of All” is also at the top of the list. With Whitney’s untimely death last Saturday, I decided to dedicate a Flashback Friday post to the talented songstress. 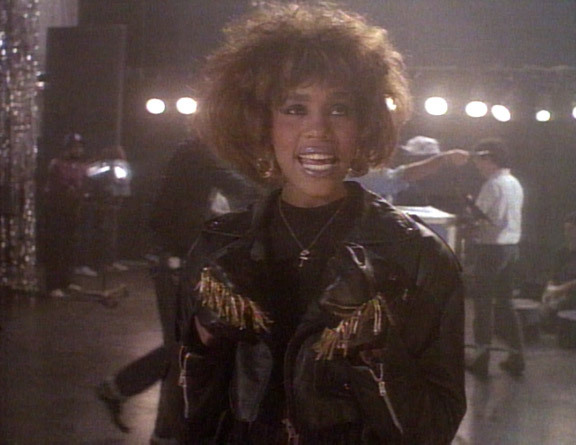 Whitney faced many demons in her life, which I’m not going to commentate, but I do want to talk about my favorite song she sang. When the song was released in 1986, I was still a bit young to love the song off the radio. But my elementary school music teacher Mr. Phay would teach us contemporary music to sing in class, and learning “The Greatest Love of All” was on of the songs that he taught in class. 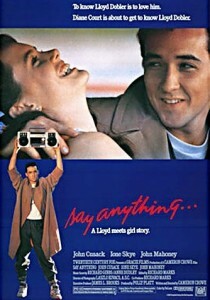 20+ years later, I still remember every word. “Greatest Love of All” was written by Michael Masser and Linda Creed, and George Benson actually sang it years before for Muhummad Ali’s biopic “The Greatest.” Whitney released “Greatest Love of All” on her debut album “Whitney Houston.” The single topped the Billboard Hot 100 chart for three weeks in 1986, her second-longest stay atop this chart, behind the 1992 monster hit “I Will Always Love You”. It remains her third biggest hit behind “I Will Always Love You” and “I Wanna Dance With Somebody (Who Loves Me). Interestingly, all three songs have reemerged into the Billboard Hot 100 in response to Whitney’s death. It’s possible the her estate may acquire some fund through these music sales to make up for her lack of financial planning before her unexpected death. I have to admit that my favorite rendition of this song is from the movie “Say Anything.” In the graduation scene, Joe sings an awful rendition of “The Greatest Love of All” (skip to 2:58). The song was in the movie “Coming to America” with a terrible rendition in a Miss Black Awareness Pageant. The song was even used in the show “It’s Always Sunny in Philadelphia.” Not only is it a great sounding song, it really is an iconic part of 80’s pop culture. Were you like me? Did you stand in front of the mirror, with a hairbrush as a microphone, and belt out this anthem of self-esteem and self-love? No matter what they take from me, they can’t take away my dignity….